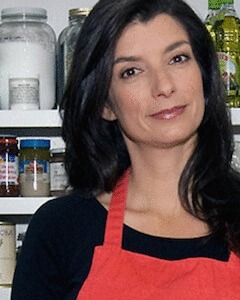 Wellness expert and gluten-free guru Elana Amsterdam is the New York Times bestselling author of the book Paleo Cooking from Elana’s Pantry, and founder of the blog elanaspantry.com, where she shares simple, healthy recipes and lifestyle advice. Elana has written for Parents, Shape Magazine, and Delicious Living and has been featured in a variety of media outlets including Fortune Magazine, The Washington Post, and The Wall Street Journal, and has appeared on CNN, MSNBC, and Fox News Live. Elana has a BA in history from Columbia University. She now lives in Boulder, Colorado with her husband of 18 years and her two teenage sons.